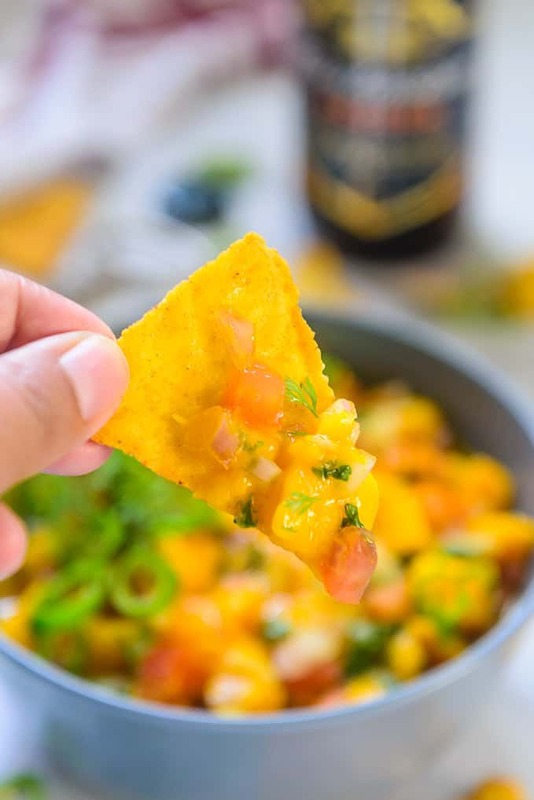 Mango Salsa is a quick and easy dip which you can whip in just a few minutes to serve along with crackers or chips. This recipe is a family favourite and Friday nights are incomplete without it. It is made from fresh mango, red onion, tomato and lime juice. Do season with salt and pepper for that extra taste. 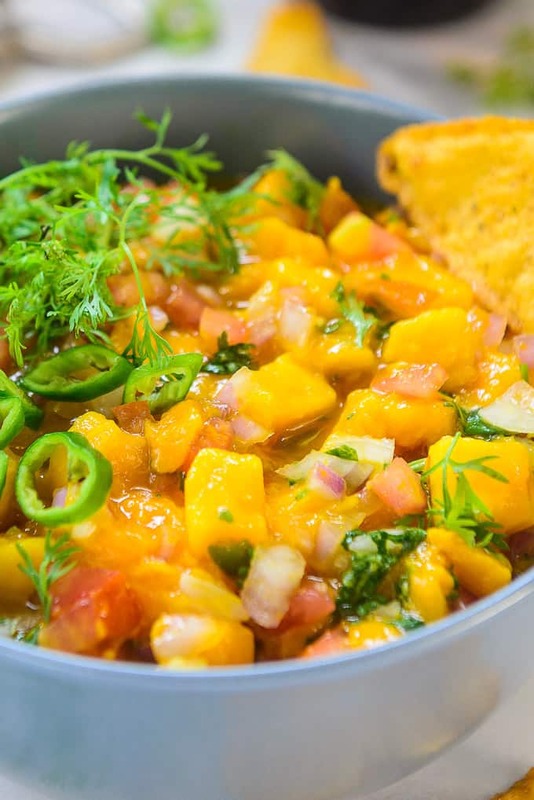 Here is how to make best Mango salsa at home. During summer, juicy and ripe Mangoes are always there in the refrigerator, hence, mango recipes can be quickly made. 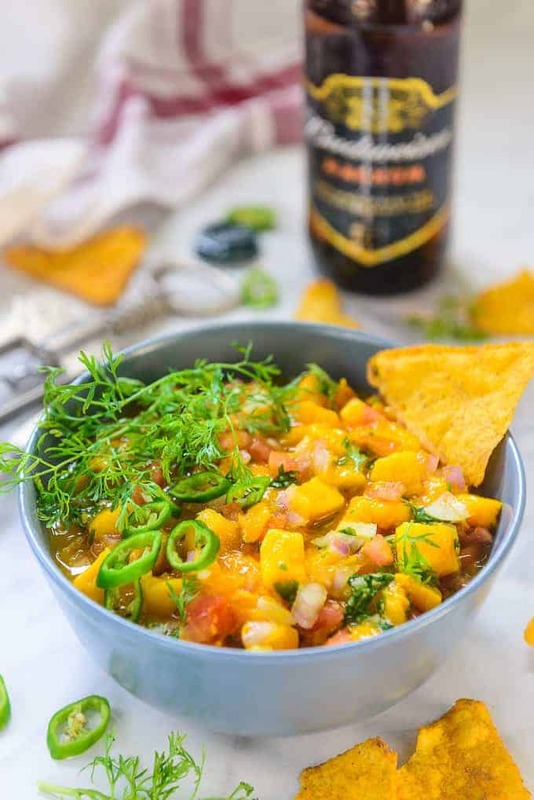 Be it a movie night or spending time with friends over some beer and snacks, Mango Salsa definitely makes its way to the dining table. Most importantly, this recipe is also a good way to involve kids in the kitchen. Just chop the ingredients and let the kids mix and mash the salsa on their own. I paired this Mango Salsa with Za’atar Spiced Pita Chips this weekend and it was a hit with everyone. The tangy and sweet flavours were a riot in the mouth and the mildly spiced pita chips made a perfect balance with the salsa. Though, I have not used red bell pepper or other bell pepper, if you want then please add it to Mango Salsa Recipe. 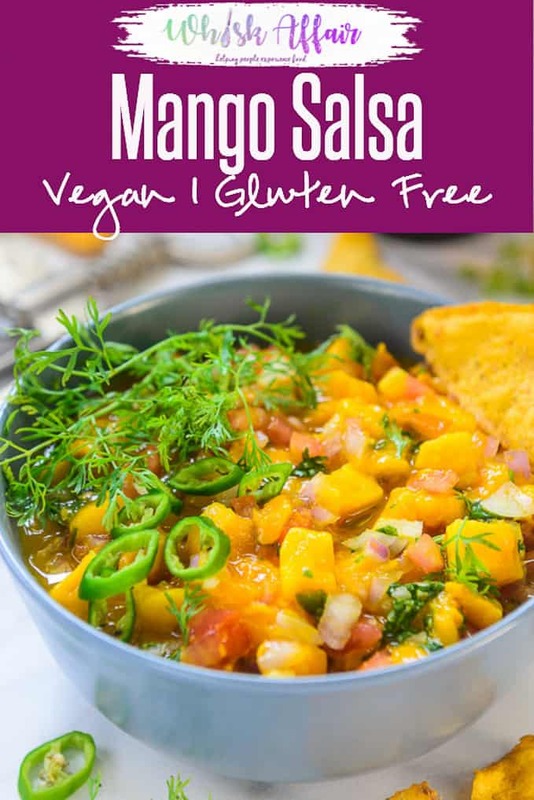 I love to serve this mango salsa over my fish tacos too. It makes a nice contrasting combination with the fish and takes the tacos to the next level. 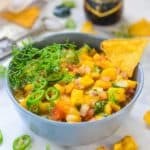 Mango Salsa is a quick and easy dip which you can whip in just a few minutes to serve along with crackers or chips. Mash the salsa with the back of a spoon or a potato masher till juices of mangoes are released and there are still some bites of it left. Let the salsa rest for 30 minutes in refrigerator. Looks so yummy! Can go with nachos and other snacks. Preparation time is so less. A healthy recipe and it saves time. Thnx. Do try it. It tastes delicious. A great recipe at the right time. Now, it is the mango season in India and I think salsa is surely going to go in my list! I have made the sweet mango variation and also the one with a semi sweet- sour variation (the mango will be half ripe) and my family likes both of them! I love the idea of using semi ripe mango to make salsa. It will taste so yummm.